The joint strikes carried out in Syria on Saturday morning by US, British and French forces expose the role of the New Anti-capitalist Party (NPA), which has long supported imperialist intervention in the Middle East. As workers and youth come into struggle against the Macron government in France, the NPA is working to strangle popular opposition to war, so that Macron can launch his missile strikes despite overwhelming popular opposition. This underscores the need for workers and youth to build a movement against war in opposition to these petty-bourgeois, pseudo-left groups. The pretext provided by the imperialist powers for the bombing was that the Syrian regime of Bashar al-Assad carried out chemical attacks on April 7 in Douma, the last stronghold of the “rebels” backed by European and American imperialism in eastern Ghouta. This is the latest lie in a long list of pretexts concocted since 2011 by Washington, London and Paris to bring down the Assad regime in support of the Islamist rebels. Without even attempting to provide any evidence for their allegations, the major powers launched strikes that risk provoking open conflict with Russia. These statements expose the NPA as a propagandist for imperialist war. To date, the NATO powers have not been able to provide any evidence or coherent details about the accusations against the Assad government. They have provided no credible explanation for why the Assad regime would launch a chemical attack, just as it was on the verge of routing the Islamist militia financed by the US and its allies. But Macron has nonetheless launched attacks against Syria, a country that has not attacked France. The allegations of Washington, London and Paris have no credibility. The journalist Seymour Hersh exposed that the chemical attacks in Ghouta in 2013, which served as the pretext for Washington’s and Paris’ war threats against Syria at the time, were carried out by Islamist militias supported by Turkey and NATO. At the time, faced with popular opposition and a potential conflict with Moscow, Washington was forced to pull back following the defeat of the British parliamentary vote to authorise war. The allegations over the events in Douma follow on the heels of a series of provocations cooked up against Russia in the Skripal affair, which has now been completely discredited. For weeks, London, with the support of Washington and Paris, accused Russia of poisoning Sergei and Yulia Skripal, expelling dozens of Russian diplomats stationed in Britain. It has nonetheless become clear that neither the British government nor the United Nations can prove that the chemical agent used against the Skripals originated in Russia. 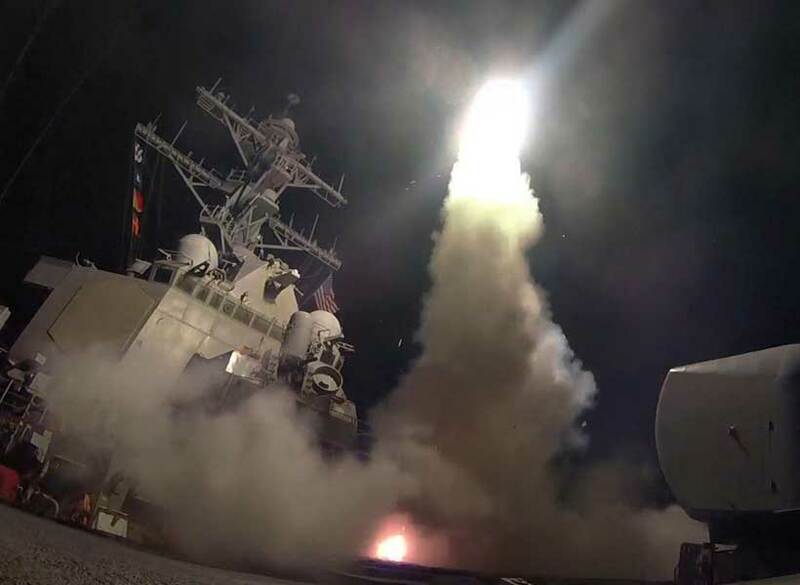 The NPA’s criticisms of the military strikes are hypocritical; they are aimed at protecting the NPA from the anger of French workers, 70 percent of whom are hostile to the bombing of Syria, according to various online polls. And the organizations to which the NPA is seeking to tie French rail workers and university students striking against Macron’s austerity policies make no effort to conceal their enthusiasm for the military aggression of Macron, Trump and May in Syria. 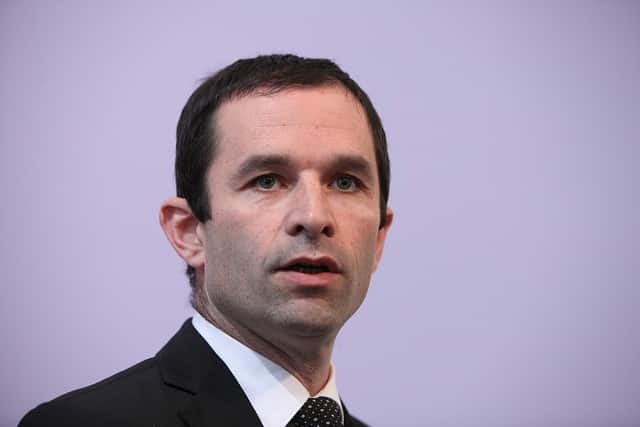 The NPA has called for a broad alliance with forces allied with the Socialist Party (PS), including Benoit Hamon and the Communist Party of France (PCF), against Macron. The pose of opposition of the NPA, PCF and Company to the military strikes is fraudulent. It is aimed at trapping workers and youth engaged in struggle against Macron in a coalition of petty-bourgeois parties who are long time allies of the PS and support imperialist war. These organisations pose an enormous danger not only because of their indifference to the threat of a world war; their support for imperialist wars reveals their hostility to any struggle against Macron’s austerity measures. Macron has reiterated on numerous occasions that he has no intention of pulling back from his pro-market, anti-working class economic “reforms.” Behind his efforts to destroy the social gains of workers lies the need of French imperialism to finance a military program of €300 billion by 2024, announced this year at the Munich security conference. To obtain the colossal sums of money that the strategists of French imperialism want to spend on the military machine, the ruling elite knows that it must carry through Macron’s austerity measures. To fight against austerity, however, it is necessary also to oppose imperialist war, including its defenders in the NPA, which represent a privileged, anti-Marxist layer of the upper-middle class. Their role is a warning that there can be no “reformist” way forward for the class struggles that are erupting against Macron and the NATO governments. Driven by the geopolitical crisis produced by a quarter century of imperialist wars across the Middle East and Eurasia, since the Stalinist dissolution of the Soviet Union, the ruling elite is pushing at any cost to drastically restructure class relations via authoritarian means, in order to permit France to participate in the new imperialist carve-up of the world. And the petty bourgeois of the NPA want to arm the French state in order that it will be able to defend their privileges on the global stage. The Socialist Equality Party (SEP), the French section of the International Committee of the Fourth International (ICFI), is opposed to all military escalations and fights for a new political orientation in the working class. The SEP bases itself on the perspective of the ICFI, which provides the necessary socialist strategy to the emerging international anti-war movement of the working class. It warns workers and youth that the supporters of imperialist war will inevitably betray their struggles, and that the only progressive way forward lies in building a revolutionary movement with the aim of taking political power by the working class across Europe. In this declaration, they “vigorously condemn the war launched by the Assad regime against the Syrian people,” not the imperialist proxy war against Syria. They demanded that imperialist powers intervening in Syria provide a “plan of action for directly aiding the population.” In other words, they provided an apology for the imperialist intervention in Syria under a “humanitarian” guise. Their support for the European and American strikes on Syria are a direct continuation of this reactionary effort. It is a sign that workers and youth must urgently take their struggles into their own hands and out of the control of the pro-imperialist bureaucracies. The latter seek only to betray these struggles, and in doing so to prepare ever new escalations of imperialist war. The author is a geopolitical commenter with wsws.org, a Marxian publication.